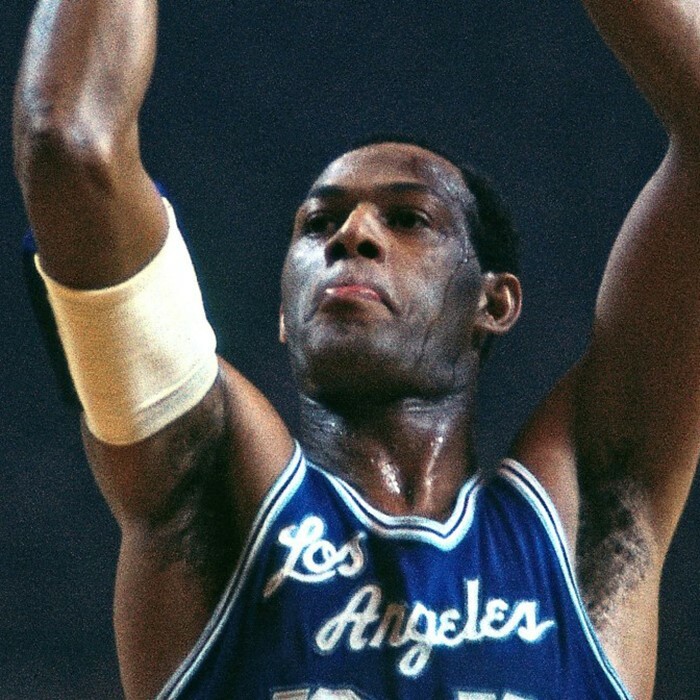 Elgin Gay Baylor (born September 16, 1934) is an American former basketball player, coach, and executive. He played 14 seasons as a small forward in the National Basketball Association (NBA) for the Minneapolis / Los Angeles Lakers, appearing in eight NBA Finals. Baylor was a gifted shooter, strong rebounder, and an accomplished passer. Renowned for his acrobatic maneuvers on the court, Baylor regularly dazzled Lakers fans with his trademark hanging jump shots. The No. 1 draft pick in 1958, NBA Rookie of the Year in 1959, 11-time NBA All-Star, and a 10-time member of the All-NBA first team, he is regarded as one of the game's all-time greatest players. In 1977, Baylor was inducted into the Naismith Memorial Basketball Hall of Fame. His popularity led to appearances on major network television series such as Rowan and Martin's Laugh In in 1968, The Jackson Five's first TV special in 1971 and a Buck Rogers in the 25th Century episode, "Olympiad", as one of the athletes.